Studying in a foreign university is a dream for many. Making it possible and feasible is DeVry Education Group, with its many Online courses which makes it possible for students to study online during the entire program duration, and earn a U.S. accredited degree for all courses. 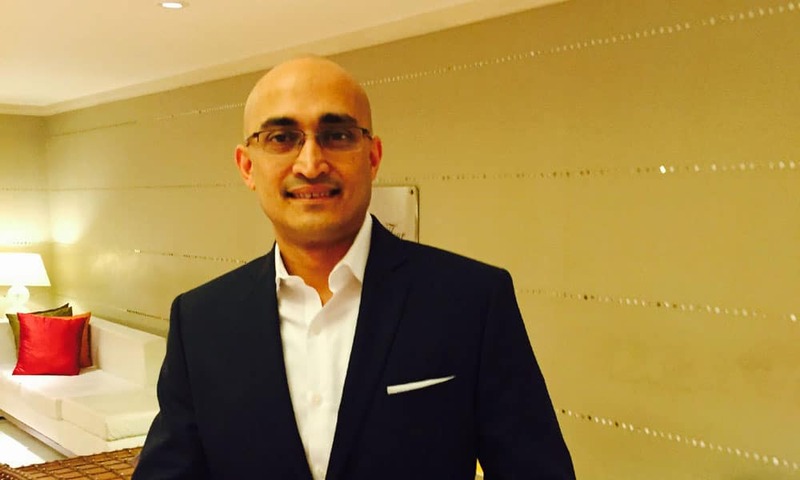 In an interview with Elets News Networks (ENN), Ranil Herath, Managing Director – International, DeVry Education Group shares about his recent visit to India and future aspirations. You had recently visited India. What were the focus areas of your visit to India? The focus of our visit was to interact first hand with prospective students interested in studying in the U.S. It is always good for the management to hear first-hand versions of their aspirations, what they are looking for and to find out if we are providing that support and not just rely on secondary or external resources. Additionally, visits also allow us to meet and engage with stakeholders in the market including various partners and organizations, and learn more about the trends in the market. These are not just for the industry, but for students as well as their parents also. There is a lot to observe on every visit and many best practices to learn from. We also love to visit India for the South Indian breakfast followed by North Indian dinners. What are the opportunities for US Universities in India, with regards to collaboration and imparting distance education? DeVry University does not have any such collaboration programs, but we do offer direct online programs. Students have the facility to study online during the entire program duration, and earn a U.S. accredited MBA by DeVry’s Keller Graduate School of Management, for example. We offer this for all courses with DeVry undergraduate programs and Keller Graduate Programs. Students also have the opportunity to finish a portion of their studies abroad on campus in the U.S. without losing any credits they have obtained so far in their online program. For example, in MBA, students could potentially study for one year locally in India, and come to a Keller U.S. campus for their second year of study. Lastly, we offer a special program for international (including Indian) students who are high academic performers and wish to study in their home office. Based on certain academic and English proficiency requirements, some students may qualify for the American Pathways for International Scholars (APIS). Those who qualify for the APIS program are eligible for up to a 70% reduction in online tuition costs while studying in their home country. Should they choose to complete their studies at our campus in the U.S., their credits remain 100% transferrable, but the APIS discounted tuition rate will no longer apply. What steps are you taking to promote the participation of Indian students in DeVry University? DeVry University and its Keller Graduate School of Management offer international students the opportunity to gain valuable work experience before graduation, through the U.S. Career Experience Program launched in 2014. This international student applicants of DeVry University or its Keller Graduate School of Management are selected with the opportunity to gain valuable on-campus work experience through a paid, part-time job while attending one of DeVry’s campuses. Since 2014, we have had 12 Indian students participate as International Specialists who are engaged in real life, paid part time work experience during their enrolment. We have 40 positions available on a rolling basis every year. At present, we have 5 Indian students who are active in this program. In addition to this, in order to make Indian students aware of our university, it is always great to meet students face to face and interact with them. We meet them at various forums like at their institutions, education fairs and at our partner’s offices. What is your vision of “To be the world’s most extraordinary learning organisation” all about. What steps you took/are taking to achieve it? The purpose of DeVry Education Group is to empower its students to achieve their educational and career goals. Our vision is to be the world’s most extraordinary learning organization, where students and colleagues thrive, and to achieve this vision we follow a certain set of values we call TEACH. TEACH stands for teamwork, energy, accountability, community and heart. What methodology do you follow to make your students future-ready as well as industry-ready? Our professors at DeVry bring real-world work experience into their classrooms so students get the knowledge to be career-ready. This program can provide international students of DeVry University or its Keller Graduate School of Management who apply and are selected with the opportunity to gain valuable on-campus work experience through a paid, part-time job while attending one of DeVry’s campuses. In addition, DeVry University students have the support of dedicated staff to help them achieve academic and career success and help with student finance. Our courses are offered in eight-week academic sessions, giving students the flexibility to design a schedule that accommodates a schedule that works for them (students can take a one session break, assuming they maintain the minimum course requirements for visa status). Any message you want to share with readers/students. Students should be very careful and do a good amount of research before selecting a particular university for higher studies. They should be very sure of the course they want to pursue, the country they would like to pursue it in as well as the university they select. U.S. is a very attractive destination for higher studies and universities here offer a range of programs at both the undergraduate and graduate level. The country also offers internationally accepted qualification and the huge diversity of subjects offered is unparalleled. Programmes range from management, engineering and technology, Humanities, Media technology, Journalism to Fashion. USA is at the forefront of Science and Technology research and offers opportunity to be taught by leading researchers. In addition to this, students pursuing their higher studies in the U.S. have the option of working while studying and not just after the completion of their course. This provides the students a hands-on experience of the real world without compromising on their education.